Discussion in 'Vintage Vinyl' started by GiLLy, Sep 20, 2007.
fosa comun and Bob like this. Thanks for sharing Roger! That is an awfully high price to pay for such a worn tiger! His belt is badly scraped. Not sure why the price is so high, he's a standard tiger, is he not? @Mr. Humphreys yes Grace is the standard size but apparently at the end they went crazy with the bets because three hours before the auction ended the max bet was around the 15,000 ¥, I also think that 40,500¥ it is a very high price for the conditions of the figure. Shame to see the prices not coming back to reality. 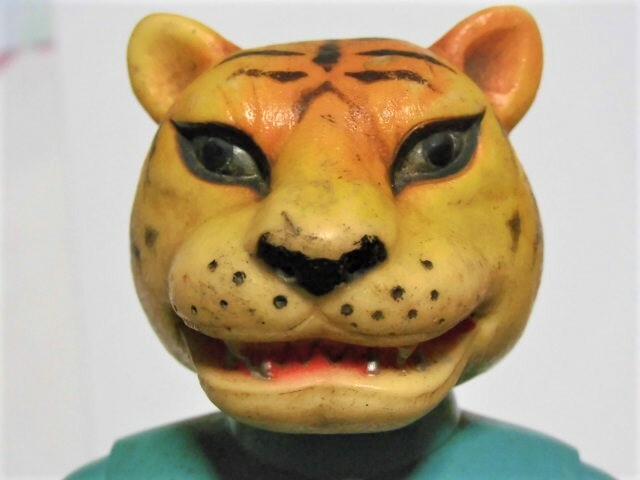 As Grace said, this is not such a great example, and if the bidding activity and the end price for this guy are to be taken as a new metric, well, I guess I might as well just give up on the going on a Tiger hunt anytime soon. Vintage is getting pricey to collect anyways, but there is definitely far more affordable goals out there. Thanks for the update and bidding details Roger! Let's hope this was a crazy battle of egos, not wanting to let go of a toy. I would've passed on it and waited for a nicer one! Even if it does clean up well, the scrape on the belt and the blemishes on the back, are hard to ignore. p.s. Don't give up Stevie! There has to be a stripey tiger yet, with your name on it! Also if I could weight in, you never know if those were shill bids at the end. 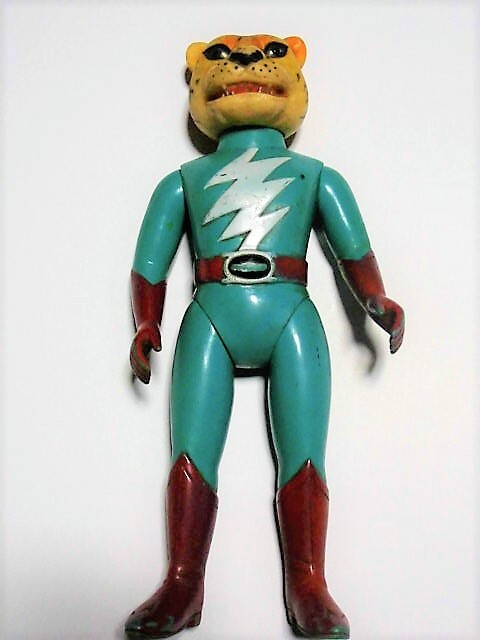 Not saying thats the case, but it does seem unusual to have a ton of bids right at the end on such a beat up toy when there is one in better shape for not much more. I honestly think the bubble has burst on these. Barring a gloved or packaged one you'll see these go for real prices- 40K range. Where it should be. ^^^That was my thought too Chris! I'm thinking it was someone desperate to add a Tiger to their collection, and then someone else got in to up the bids. My Toy Angel did share a basic but sage piece of info, in that it's better to wait for a decent figure to come along, then to throw money on vintage right away. In the end, you'll be unhappy, and if you go after another figure in better condition, you'd have paid a lot more. You just have to get over that feeling of uncertainty that your grail will never come along again, because at some point it does, but a nice figure will be a lot more. 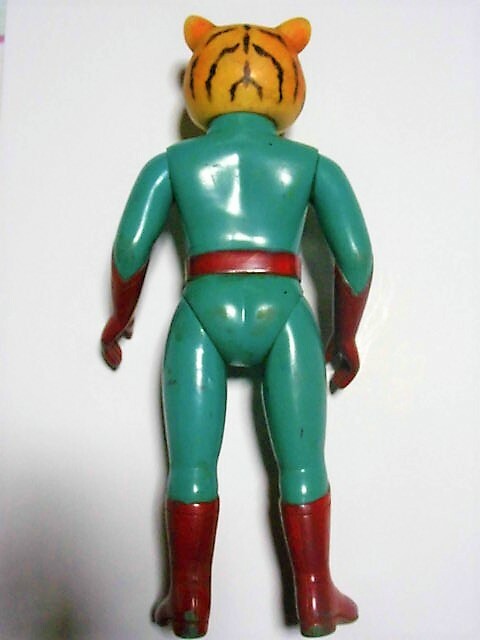 I let a Tsuburaya Enterprise Sufendon slip by recently (with a heavy heart), because it was marginally beat up. 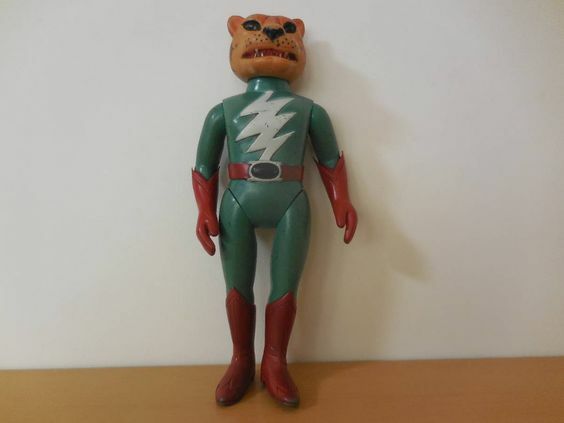 Still looking for the Bullmark Standard graily grail version! p.s. 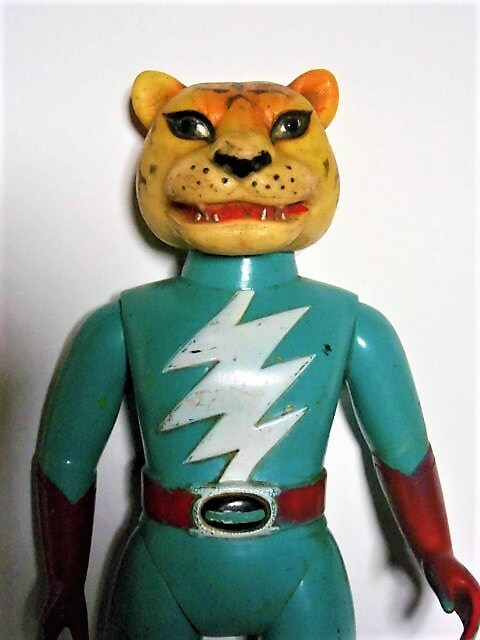 Still mentally kicking myself that I didn't greedily adopt all FOUR Tigers from Super 7, and only adopted one. They were in super condition, and $300 back then! Since now, it will cost +$15K!!! @Mr. Humphreys The auction of this specimen with gloves ended on April 29, one more for your statistics Grace. Mr. Humphreys and fosa comun like this. Hi Roger, thanks for sharing and saving the pics. I was hoping that a kind Boardie would have a chance to adopt him, but it looks like it was a very competitive listing at the end. I think the lighting is deceiving, giving the kittee a much older appearance. I bet it's in wonderful shape, and if the seller took better pics, the price would have been higher! Henry gets to come home from the vets tomorrow, after 2 weeks of treatment. I think his "spa" fee will be higher, poor kittee. p.s. I don't ever think I'll tire of those Tigers. They're the perfect toy. organic_addict, jojo the dog faced boy, chimply.kaiju and 8 others like this. Awesome dedication Grace! That's an amazing group of tigers there. I'm going to be coming back to drool at your photo repeatedly. I've got to find me one of them yellow-headed fellers. I joined the tiger club a while ago but forgot to post a pic here. jojo the dog faced boy, doomboy, Mr. Humphreys and 1 other person like this. Thank you Roger and Michael! Michael, you Tiger is beautiful! @Mr. Humphreys - Whaaaa! 7 Tiger 7's. Sounds like a kid book, lol. Do they fight over the gloves are share? ultrakaiju and Mr. Humphreys like this. Still playing with my Tigers, but @Mark K asked for a pic to compare the yellow vs. orange heads. I'm still curious as to why the Yellow version seems to be scarcer (at least from the buying point of view!). I wonder if both colors were released at the same time, or if there were two releases. Please chime in if you know! Here's a close up Mark! 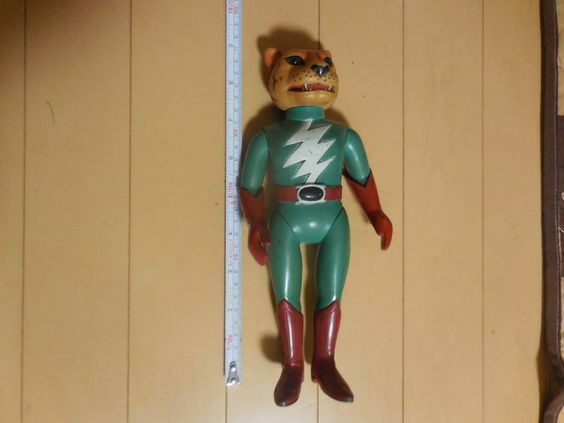 jojo the dog faced boy, Alebrije and ultrakaiju like this. boon velvet, chimply.kaiju, doomboy and 1 other person like this. Thanks for sharing Roger, kittee went much higher than I thought he would. Definitely a beauty! Totally agree with you Grace; the auction ended higher than I would have liked too. I hope in the future to be able to adopt one of these Tigers, it does not matter if it is not in a bag or it does not have the gloves, I believe that with this figure I can not get so demanding. I find it somewhat expensive to be an incomplete figure, I want to think that the fact that it comes with one of the gloves is a plus.